Summer is finally here and the rooftop season is officially open. 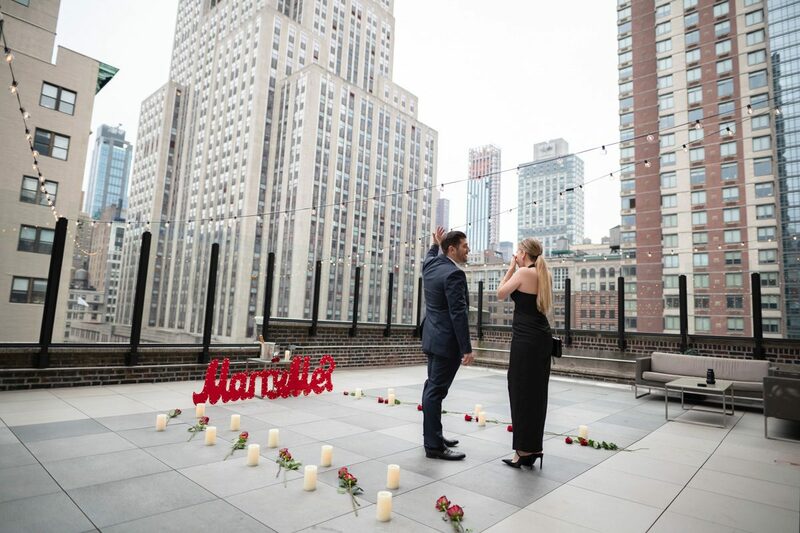 As most of the couples are looking for a nighttime proposal, we would like to discuss the advantages of making a daytime proposal. She definitely won’t suspect anything if you invite her for a brunch date. Most of the girls expecting the ring at or after dinner, so brunch won’t be suspicious. Daytime proposals are perfect for amazing flowers decorations. 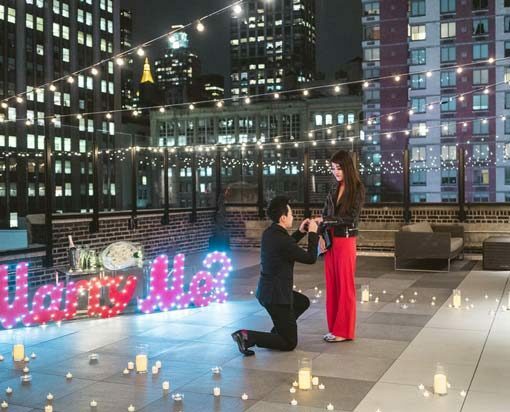 You can decorate the rooftop with her favorite flowers or we can create a wonderful flower wall or even flower “marry me?” sign. Just imagine sun, flowers, rooftop and you two enjoying the view. You can actually enjoy the view. Unlike the nighttime proposals, during the day you can actually see the city and enjoy its vivid colors. Pictures and video are much better during the day then at night. So the pictures from the daytime proposal will be more colorful and have vivid colors. Proposing during the day you automatically saving time for a dinner celebration. The ideal time to invite her friends and family. She would be glad to know that you plan everything so thoughtfully. Rooftops are more available during the day as most of the people looking for a nigh view. Its perfect opportunity to choose from the best places that you liked. 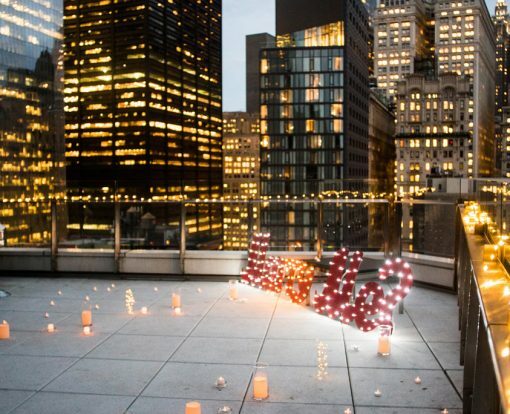 Most of the private rooftops lower the prices for a day proposals, so its a perfect way to save some money. Daytime proposals are the perfect way to start a day and make that day unforgettable. 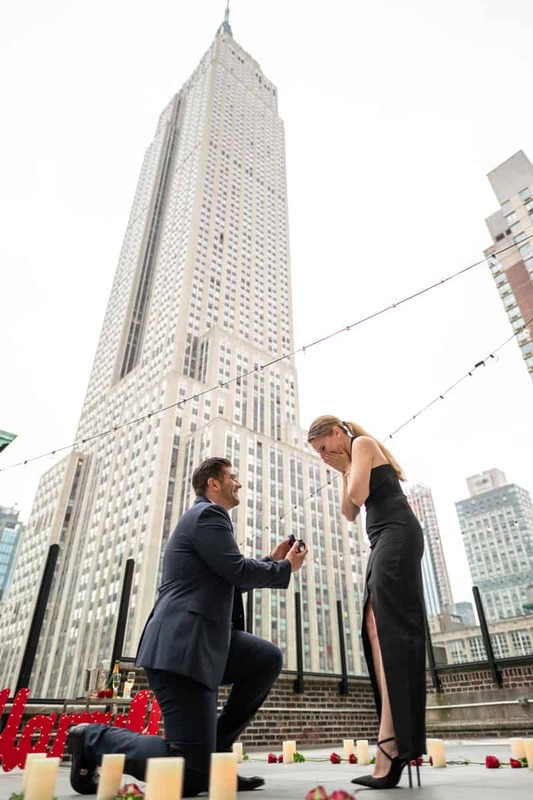 With the warm summer, private space, amazing view, and chill champagne, your daytime proposal will be something she wouldn’t forget.